Matched betting offers were thick and fast with a guaranteed profit of £275.50 in our Reloads thread - the highest ever amount! The members who made the most profit today were the ones who made use of the price boosts. One member reported profit of over £800! Great day for him, then. My day wasn't quite as good, but still happy with my profits. Remember - I'm still a rookie when it comes to matched betting, and, at the end of the day, it's free money anyway so you can't complain with whatever you get! So, I'll jump right into it. Profit today was £120, with £35 of that coming from a free bet on Might Bite in the 2:10pm (ps. what a close finish that was!). Used the free bet as a mug bet to keep the bookies happy, don't want to get gubbed and all that, and luckily for me it came in. Also placed a £50 mug bet, from a free bet I had from Bet365 from Tuesday's racing, on Neon Wolf in the 1:30pm - the opening race of the day. Unfortunately, the horse came second so missed out on what would've been a good earner (should have went each-way!). I think a lot of matched bettors are keen on having a punt at games now and again without laying their bets - especially when it's a free bet and not your own money. It keeps things interesting and stops you from getting mugged too, so win/win really. Best offer for the day came from Matchbook with their "Risk £50 on the 13:30 Cheltenham and get a £50 risk-free bet on Douvan in the 15:30 Cheltenham" offer. Other bookies with good offers on were Skybet and Betway. The day's offers are listed on the forum first thing in the morning (or some the night before). It makes it really easy to find what offers you're going to complete, and roughly how much money you'll earn from them. 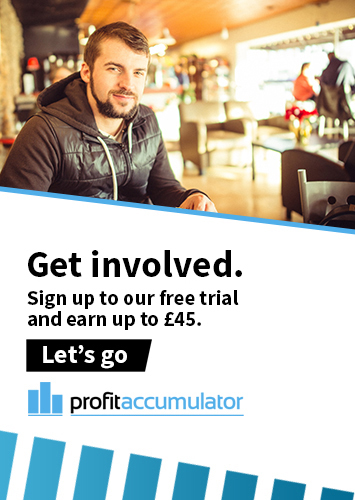 This is what makes Profit Accumulator such a great service from my point of view - it really takes so much of the effort and workload out of matched betting for you. As you can see - clear, concise and to the point. Listed with links and all the details. It's a God-send! All in all, another good day of matched betting. Not making massive waves, but still over £250 in profit now in just two days' work, so not too shabby either! 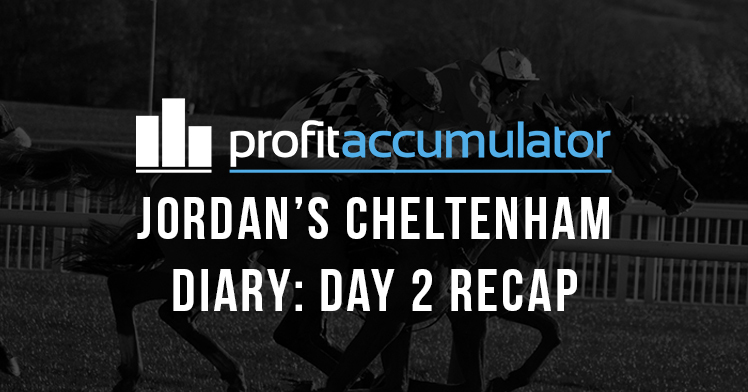 Have a read of yesterday's diary, or head over to our forums to see how the rest of our members got on. Prior warning, though - some of our members are rather good at it and their profits may make you a tad jealous!